I found this scarf on ETSY. I love the earthy irregular qualities. Plus, I love wool so I can just imagine how it feels to the touch. What do you think? Posted on April 5, 2013 by carolnesper. 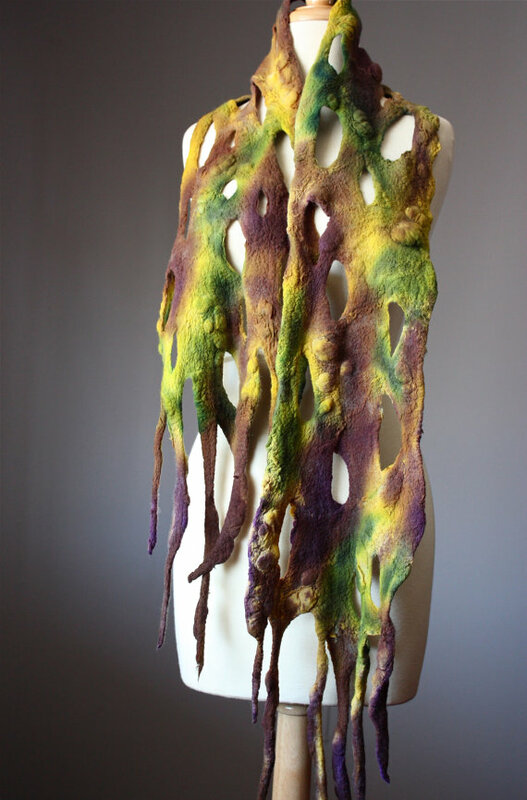 This entry was posted in Artwork, Svitlana and tagged felted wool, scarf, Svitlana, VitalTemptation, wool. Bookmark the permalink.